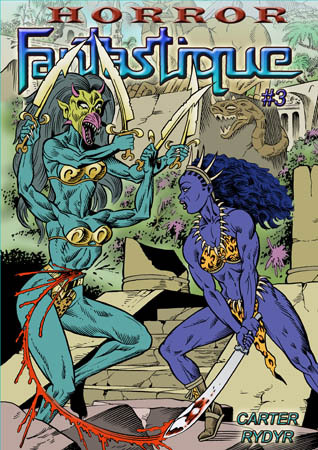 The sci-fi adventure fantasy story, Amazulu in which a lone explorer becomes embroiled in a deadly battle between warrior women, zombie amazons and four-armed freaks. Reap What You Sow featured in Decay! #1. Also the evil Imp Terrorbelle, whose warped sense of justice is more malefic than any crime ever committed.